Finally…Civil War Drops: A Look at the First Official Trailer for Captain America 3! Hey everyone, I hope your holidays have gone well. Mine certainly did; a belly full of food and a new trailer drop for Captain America: Civil War. There were rumblings that this beast would drop during the opening weekend for Spectre and then for Star Wars: The Force Awakens, and then we heard that Robert Downey Jr. and Chris Evans were stopping by Jimmy Kimmel last week, and I started to think that yeah, this was it. Simply, yes. I thought this trailer looked tremendous! After hearing all the news dropping about the overcrowded cast list and then hearing the meh reaction to the first footage shown to fans at D23, I have to say, I was a bit worried. Last Year’s Captain America: The Winter Soldier was a wonderful addition to the Marvel Cinematic Universe, and I wanted Civil War to be of the same caliber. In the film, based on the massively popular and renowned Civil War comic, Tony Stark and Steve Rogers square off over a new registration act that may be linked to Bucky Barnes. We still don’t have all the details, and that’s okay. I don’t need to know everything. We did get a great look at Black Panther, played by Chadwick Boseman (Civil War will be his MCU premiere). One exclusion is Tom Holland as Spider-Man, who many have rumored to make his first appearance here as well. Now, I am happy we didn’t see Spider-Man. I think that the fans don’t need to see him until the movie comes out, and I have colleagues who think the general public doesn’t know that Spider-Man is in this film and the trailer should have shown it, but I feel like it would confuse people who just had a taste of a now non-canonical The Amazing Spider-Man 2 from last year and don’t need all that info thrown at them. 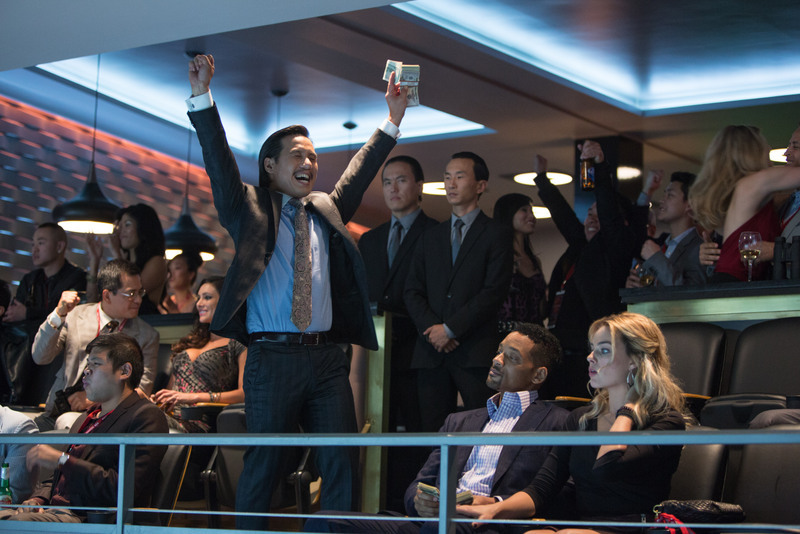 If you choose to view the trailer (and we both know you will), enjoy the epic line of dialogue that Tony drops in it. You will know it when you see it (it sent shivers down my spine). So what did you think of the new trailer? What is your anticipation level for Captain America: Civil War? Let me know! 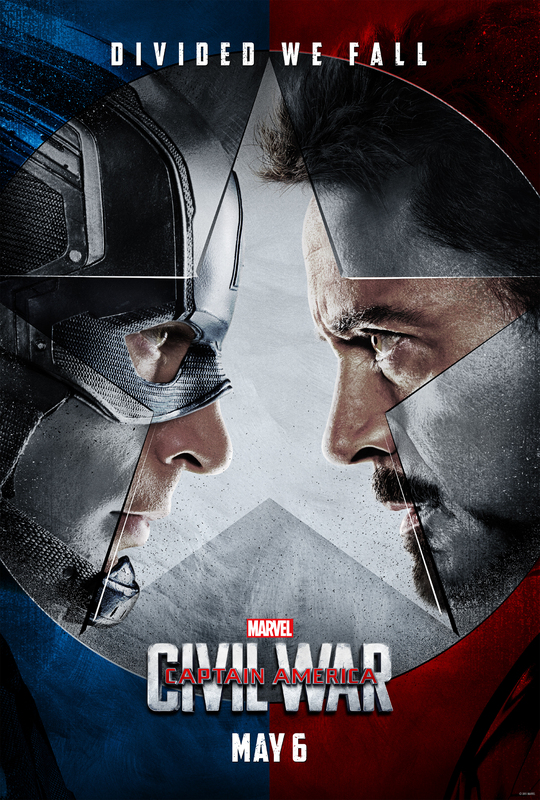 Captain America: Civil War begins battle on May 6, 2016. 104 mins. Rated R for language, some sexual content and brief violence. 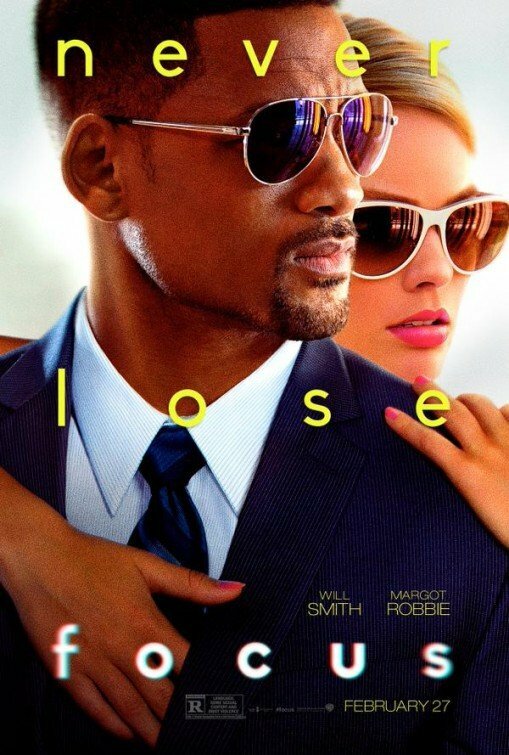 I’m kind of done with Will Smith (Men in Black, Winter’s Tale). In recent years, he hasn’t given me much to cling to in terms of exciting projects. Granted, I’m very excited for his upcoming role in Suicide Squad, but to be honest, there haven’t been many great new projects for the actor, though he still ranks much higher than his son. As far as Focus went, I saw some initial possibilities for greatness, especially pairing Smith with Margot Robbie (The Wolf of Wall Street, Z for Zachariah), who will also be joining Smith in Suicide Squad. Well, that excitement lulled rather quickly after the film started. Focus is the story of Nicky (Smith), an incredibly fast-footed con man, and his mentorship and relationship with Jess (Robbie), a fledging con artist in the making. As he teaches Jess, he becomes more and more involved with her until the lines between the con and the attraction blur too much for comfort and Nicky must decide what he wants more. Focus comes from writer/directors Glenn Ficarra and John Requa (I Love You, Phillip Morris), but the film is nothing like what I expected. First of all, if this plot was cheese, it would be Swiss with all the holes I found. The story breaks its own rules almost from the moment the story begins. Nicky breaks his own code so easily that it made me wonder what caused him to create it in the first place. But none of the plot holes would have even matter if the film wasn’t so damn boring. Seriously, I couldn’t keep my eyes open for this terribly disappointing slow moving dredge of a story. I couldn’t have cared less for the characters who made decisions willy-nilly because they weren’t even interesting characters. And then there’s the ending. No spoilers here, but seriously, that ending is one of the dumbest I have ever witnessed. I kept thinking it was going somewhere and then it didn’t. It was so sad an attempt to cash in on shock value that it pulled me right out of the film. Focus lost me very early on. I couldn’t decide what was worse: the plot or the pace at which it sauntered along. Keep your money for better choices. Focus is nothing but a con trying to take your cash. So what did you think of Focus? Did you get the mark or were you conned? Let me know! 94 mins. 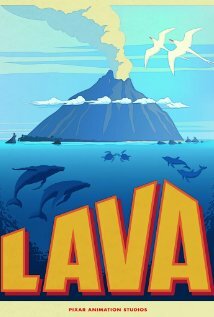 Rated PG for mild thematic elements and some action. Where did Pixar go? It’s been a few years since they have released something epic. 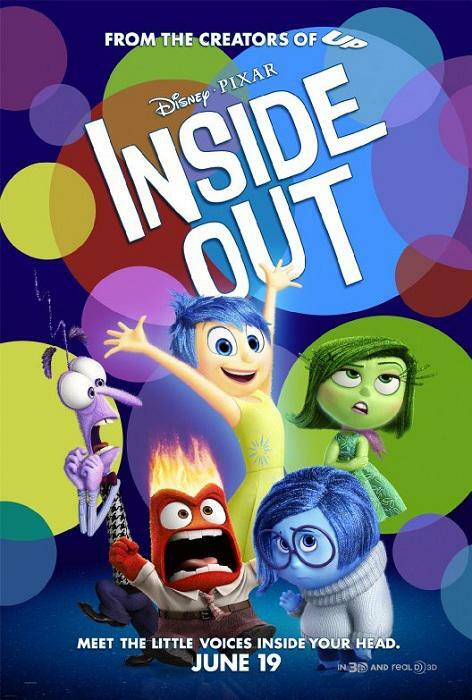 Well, here comes their biggest risk: Inside Out. Inside Out is the story of Riley (Kaitlyn Dias), a young girl who is moving away from her childhood home in Minnesota for the new world of San Francisco with her mom (Diane Lane, Man of Steel, Every Secret Thing) and dad (Kyle MacLachlan, TV’s Twin Peaks, Justice League: The New Frontier). But the story is about so much more than that. It also follows Riley’s emotions, specifically the struggling partnership of Joy (Amy Poehler, TV’s Parks and Recreation, They Came Together) and Sadness (Phyllis Smith, TV’s The Office, Alvin and the Chipmunks: Chipwrecked). After Sadness creates a sad core memory for Riley’s first day of class in her new school, Joy feels the need to isolate Sadness from accessing Riley’s emotional control, sabotaging Joy’s friendship with her emotional partners. Inside Out is a simple yet complex concept. It isn’t a kids movie; it’s an adult film that also appeals to children. This film challenges viewers and engages them in a thought-provoking story. The voice work from Amy Poehler, Lewis Black (TV’s The Daily Show, Accepted) who portrays Anger, and Richard Kind (TV’s Spin City, Obvious Child) who voices Bing Bong, Riley’s old imaginary friend. The visual look of this film is glorious considering most of it is spent in a few specific locations. I didn’t find myself pulled out of the story in either Riley’s story or that of her emotions. The emotional characters too have such stunning animation that really brings out the individual emotions as characters rather than stock one-note beings. 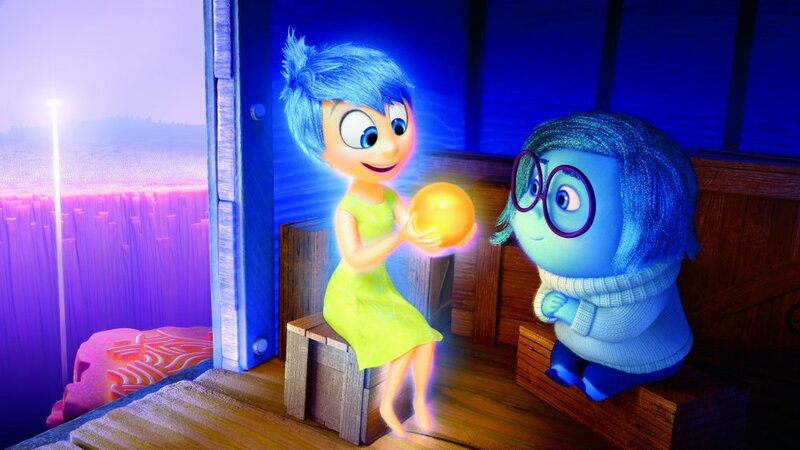 Looking back on Inside Out, I get the feeling that it may be Pixar’s riskiest move, but also one of their biggest successes. The company continues to leap forward in the storytelling medium by choosing difficult subject material and conveying it in such a unique and enjoyable way. 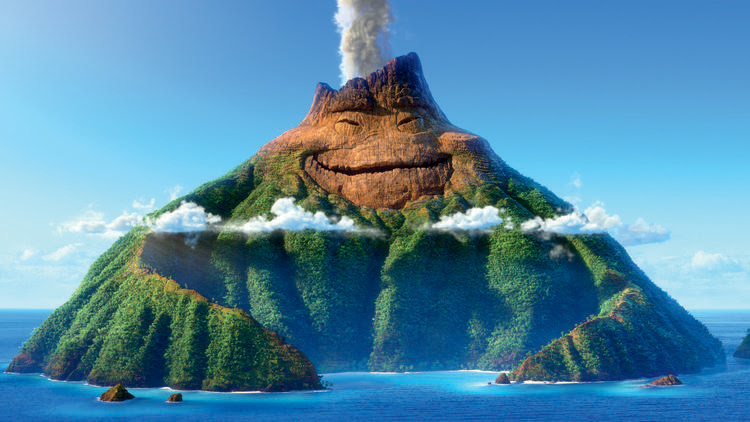 Great job all around, Pixar, and I look forward to seeing what comes next. 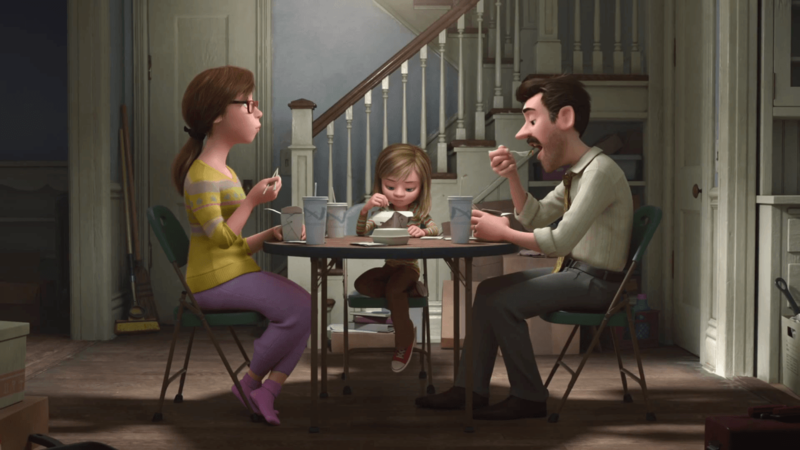 So what did you think of Pete Docter’s Inside Out? Did it open you up or bring you sadness? Let me know!